In Loving Memory or our Beloved Mother, Grandmother, and Great Grandmother Edna B. Rella. On February 1, 2019, Edna Rella passed away at the age of 99. 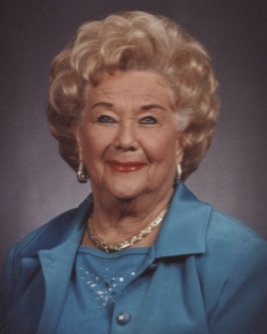 She passed peacefully in her home of over 50 years in Ft. Lauderdale surrounded by her family. Edna Rella is survived by her beloved son Frank Rella and his wife Michele, her granddaughters Christine Fick, Francine Somers, and Patty Jeanne Ayala and her seven Great Grandchildren, Robert and Kristen Capovilla, Lauren Formby, Jennifer and Ryan Fick, Kylie Marquez, and Matthew Johnson. Funeral Service will be , Wednesday, February 6th, at 11:00 a.m., at Our Lady Queen of Heaven Cemetery, Mausoleum.